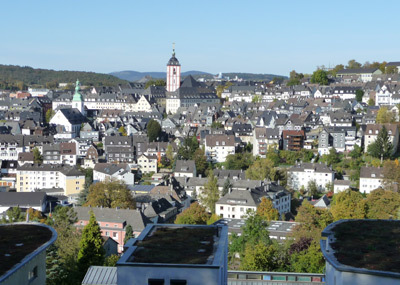 With around 104,000 citizens Siegen is the economic and cultural center of the Upper Siegerland-Wittgenstein region. 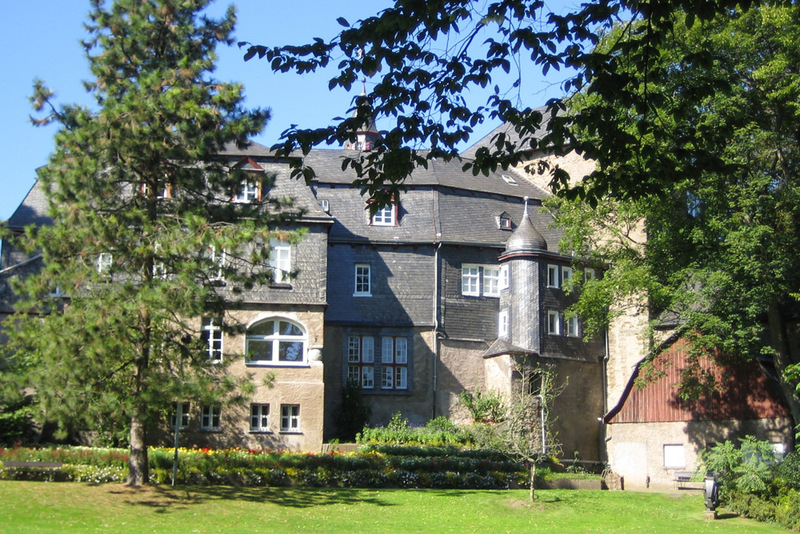 Located in the border triangle of Nordrhein-Westfalen, Hesse and Rheinland-Pfalz. 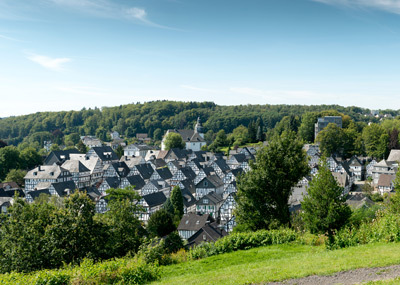 Siegen’s a commercial, university, and congress, shopping town tucked away in the countryside. There are approximately 600,000 people living in the catchment area of the town. It’s history begins long before the actual founding of the town in the year 1224. There is a history of more than 2,500 years of iron ore mining and smelting. 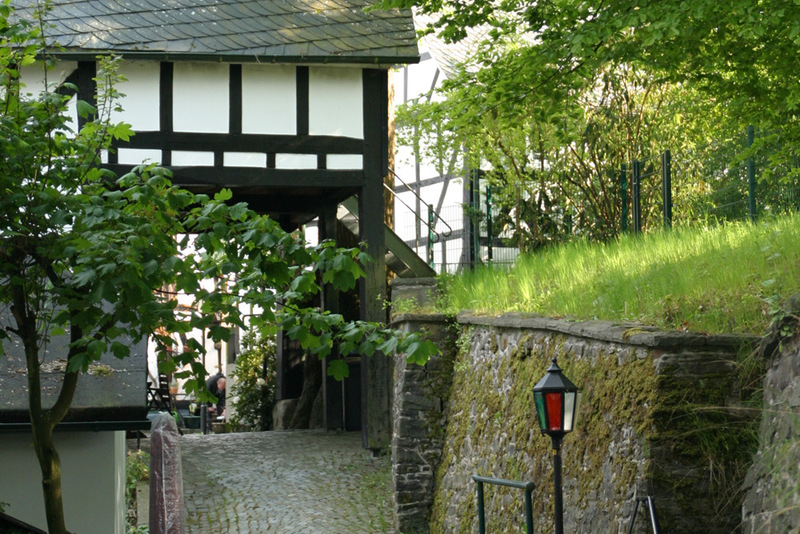 Mining ceased in the early sixties, but today the Reinhold-Forster-Erbstolln is a tourist mine where you can look back on the long tradition of the Siegerland ore mining.Located within an area of outstanding natural beauty, Siegen is a modern city with an extensive retail sector, and a wide range of services on offer. The historical landmarks and cultural offerings are of metropolitan standard; the new Apollo theatre presents top-class theatre and events. The impressive and newly modernised Siegerlandhalle is stunning, and offers a variety of cultural and cabaret performances. Frequently changing art exhibitions in the urban galleries round off the wide-ranging attractions. 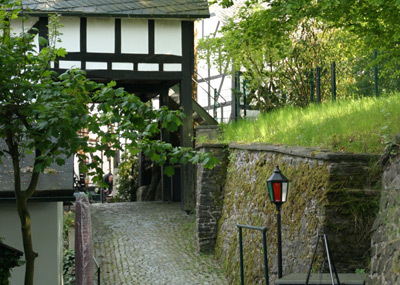 The South Westfälische Open air theatre Freudenberg is very popular and highly recommended. 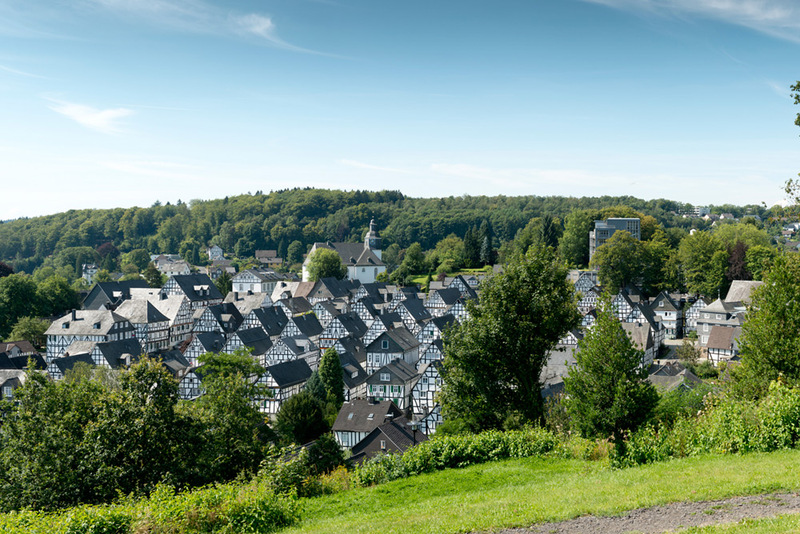 The medieval town in South Westphalia, is nestled in beautiful countryside. 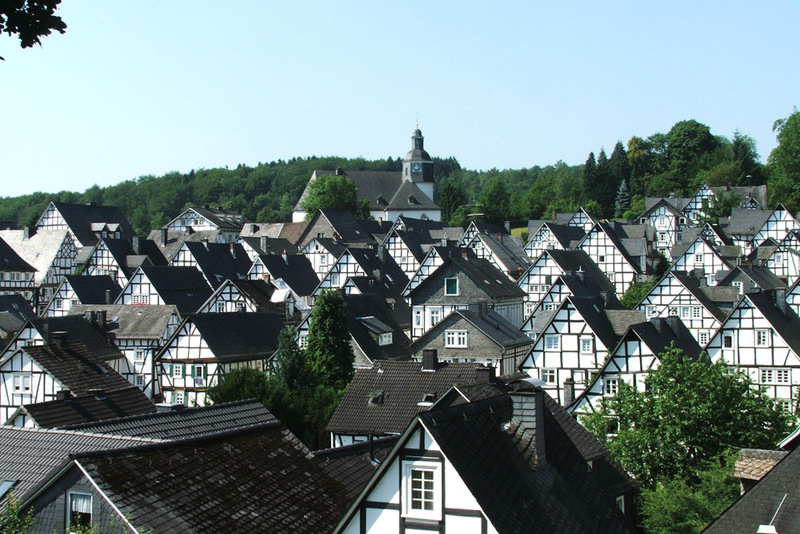 The “Zum Alten Flecken” is Freudenberg’s core, built of half-timbered houses. 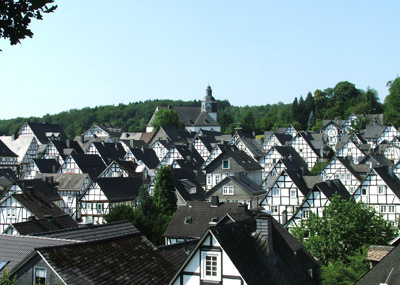 It has the impression of a small town from the 17th century. 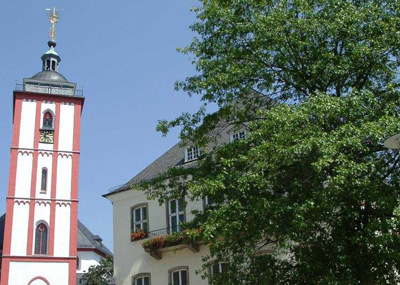 The “Zum Alten Flecken” was listed in the kulturatlas des Landes Nordrhein-Westfalen (Cultural Atlas of the State of North Rhein-Westphalia) as a Building monument of international importance” The harmonious shape of the town is a result of reconstruction after two major fires in 1540 and 1666. 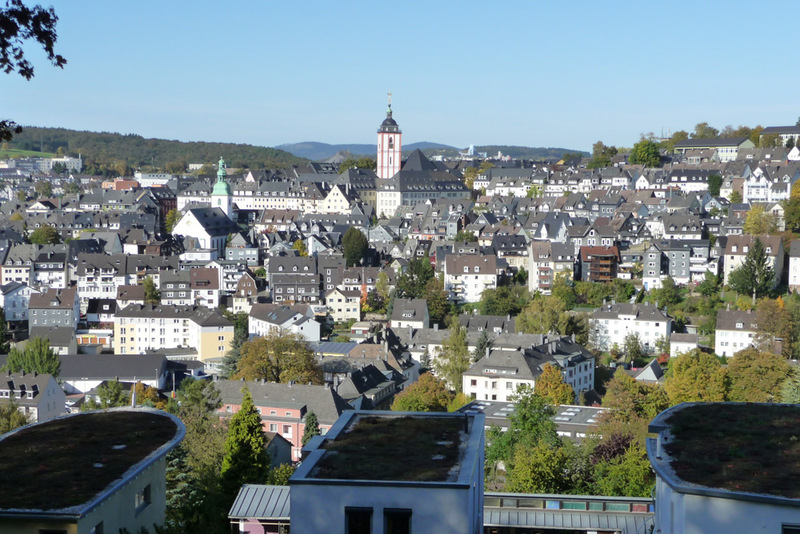 The photo offers the best panoramic view of the Old Town and the historic Protestant Church from 1675 the church tower was part of the Freudenberg castle which was destroyed during the fire of 1666. It’s worth visiting the technical museum, which includes a rare steam engine from 1904 and other exhibits of historic industrial vehicles of all types. 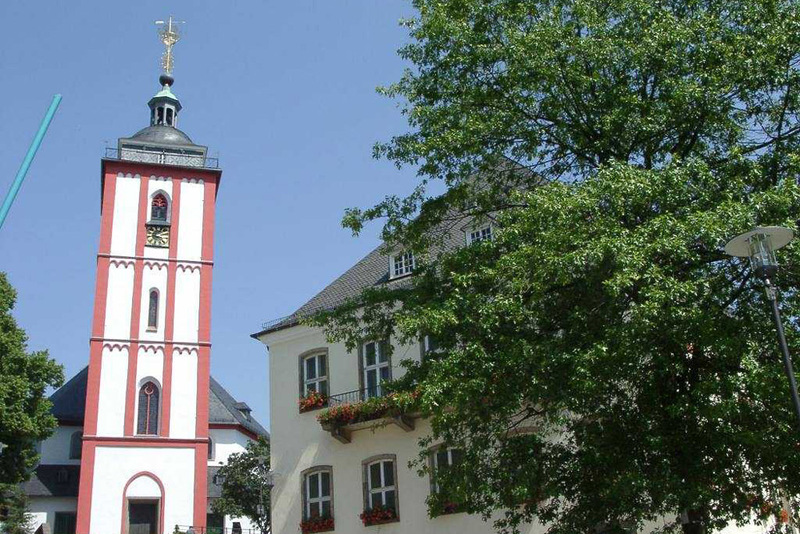 Another attraction is the FACHWERK museum in the centre of the medieval town, where there is a remarkable collection of historical Siegerländer clocks and a wide range of art exhibitions. 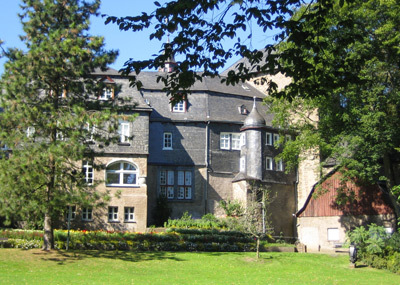 The highlight for hikers is the Fachwerkweg stage of the Ruhr-Sieg-bike trail. For children the 4000 square meter indoor playground Mc-Play is overwhelming. All this, along with a heated outdoor swimming pool, means there is plenty to see and do for your leisure.